School chaplains support young people in one of today’s most high pressure environments – the schoolyard. 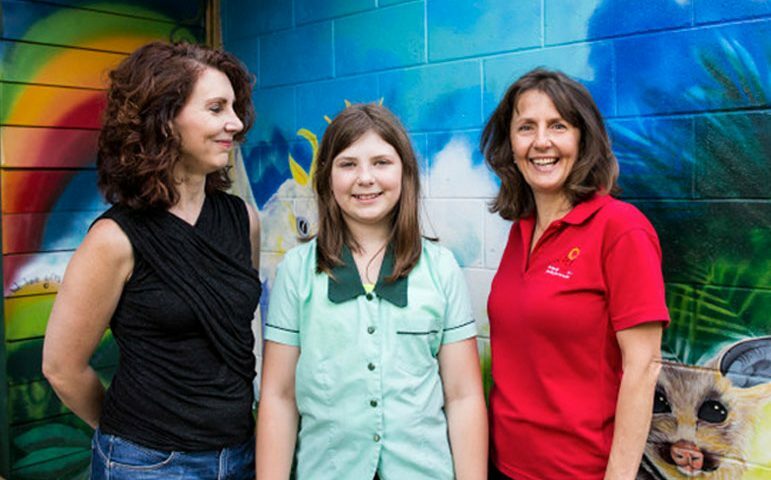 SU QLD chaplains provide a safe, positive influence for our children. 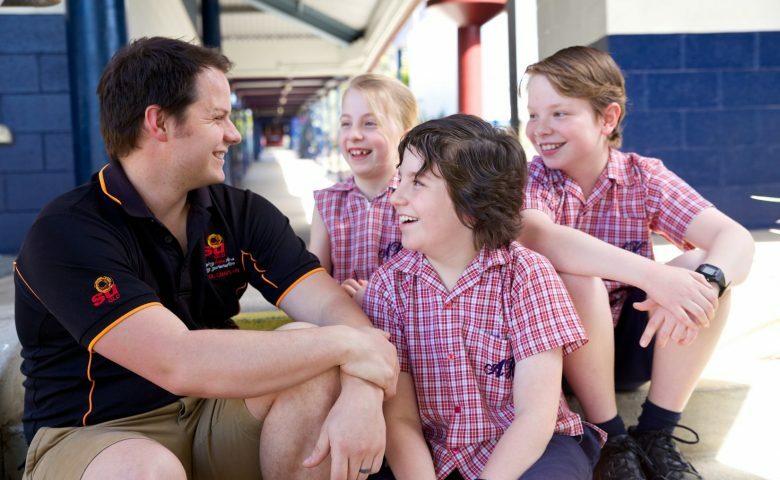 SU QLD chaplains, or ‘chappies’, provide spiritual and emotional support to school communities. They are in the prevention and support business: helping students find a better way to deal with issues ranging from family breakdown and loneliness, to drug abuse, depression and anxiety. They provide a listening ear and a caring presence for children and young people in crisis, and those who just need a friend. They also provide support for staff and parents in school communities. 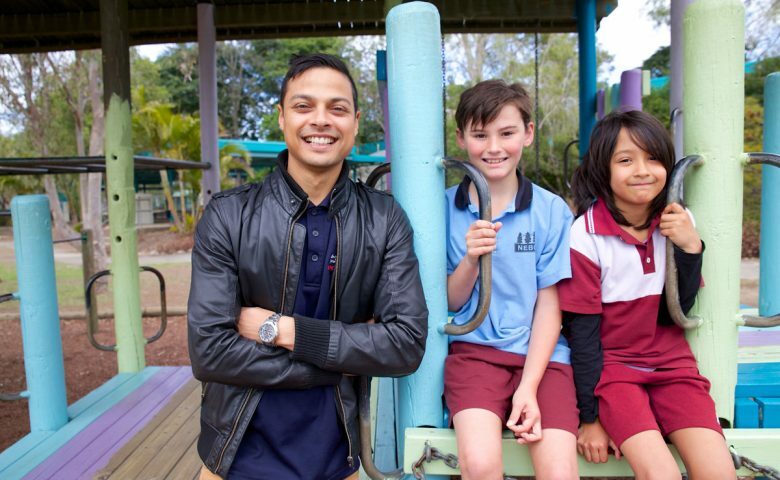 More than 67% of Queensland State Schools have a chappy. That leaves around 400 state schools without a chappy! 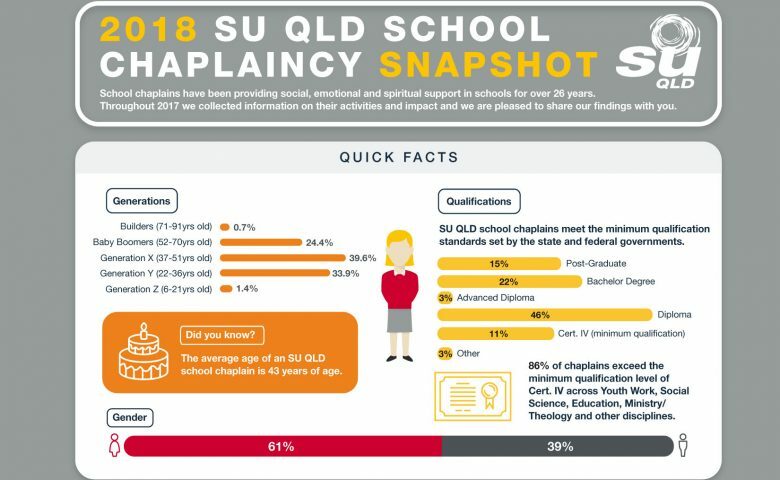 SU QLD has placed chappies in 63% of all Queensland state primary schools and in 88% of all Queensland state high schools. 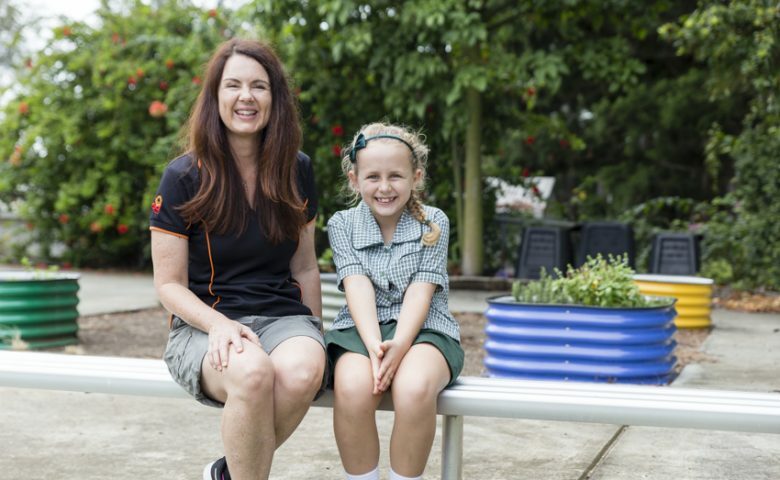 Right now, our chappies are serving more than 400,000 Queensland students. The Federally funded National School Chaplaincy Program (NSCP) has been a great help, but not all school chaplains receive government funding and it is important to note that the NSCP program is only meant to be a contribution towards the costs of a chaplaincy service. To ensure local chaplaincy services remain sustainable, local community support is vital. SU QLD supports the initiative by appointing, training, and equipping school chaplains. Your support can help keep chappies in schools and continue to bring hope to a young generation. 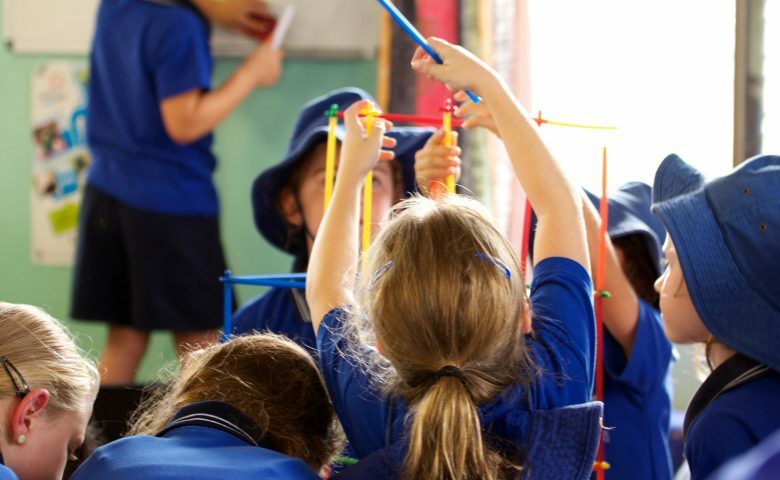 Some of our chaplaincy services are provided under the National School Chaplaincy Program and have been partially funded by the Australian Government Department of Education.The views expressed on our website do not necessarily represent the views of the Australian Government Department of Education. Who are school chaplains, or ‘chappies’? These questions and more are answered on our For Parents page. You can download our brochure today to find out what school chaplaincy is and why it is such an effective resource in Queensland schools. Give our team a call on 1300 478 753 to discuss how we can help you find the right Chaplain for your school. Chappy Week is an annual event run by SU QLD to raise awareness of the value of school chaplains and to raise funds to support chappies. Schools and communities get on board, hosting special events and taking to the streets for their ‘chappy’. The 2018 Chappy Week was a huge success, and in 2019 it’s set to get even bigger! 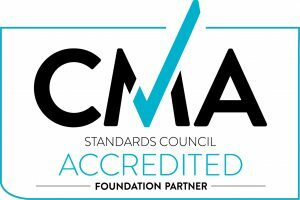 SU QLD is officially endorsed by the Department of Education (DOE) as an accredited employing authority for school chaplains. Get in touch with your local chaplain for more details! A2B is about supporting children and young people on their journey through life – it’s about helping them get from A-2-B. It’s not a program, but a way of engaging with children and young people to help them grow towards social, emotional, and spiritual wellbeing. A2B is for chaplains, children’s workers, and youth leaders who want to support children and young people as they journey toward the good things God has in store for them. A2B will equip you to impact young people’s lives. School chaplains have been providing social, emotional and spiritual support in schools for over 26 years. Throughout 2018 we collected information on their activities and impact and we are pleased to share our findings with you.